This marks a big shift since 2006, when 53 percent said they'd be “very uncomfortable” or have “reservations” about a gay or lesbian candidate. 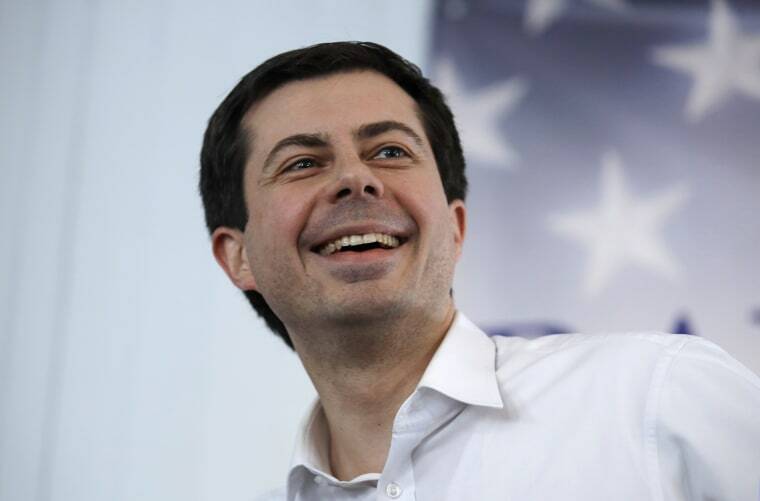 WASHINGTON — With Pete Buttigieg's campaign saying he raised an impressive $7 million in the first fundraising quarter, the mayor of South Bend, Indiana, is looking more and more like a significant factor in the 2020 Democratic primary. As recently as 2006, when Buttigieg was 24, more than half of Americans said they would be “very uncomfortable” (34 percent) or have “reservations” (19 percent) about a gay or lesbian person running for president. What’s more, that jump isn’t just due to increasing tolerance among the younger voters whom Buttigieg, a millennial, can claim to represent. The share of those younger than 35 who say they’re enthusiastic or comfortable with a gay candidate increased by 28 percentage points between 2006 and now, jumping from 47 percent to 75 percent.